We all have stories to tell. These are mine – the twisted words of life. Old love February – Welcome to North! Last weekend (February 22, 2014) marks my first out of town for the year. Booyah! I was asked by my previous boss if I would like to go to Vigan with them. Knowing me, I wouldn’t say no. So, Friday night, 21st of February, I went to Makati straight from work because were all going to meet there. 10PM was our scheduled departure at Partas Terminal Station in Cubao. Vigan is 477 kilometers north of Manila. Hello to 10 hours of bus ride with my boss sitting beside me. I stay awake the whole trip going North because its the way it is for me. I find it hard to sleep in that sitting position. 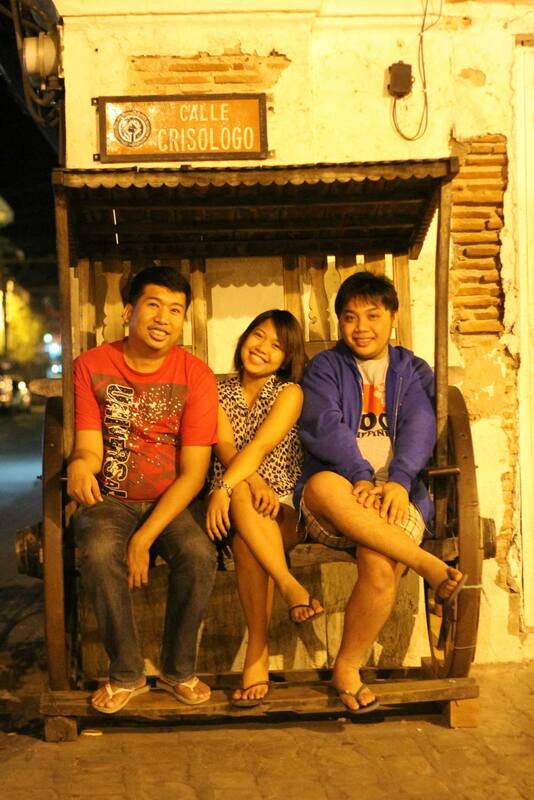 Almost 8AM when we arrived at Vigan City. We stayed at My Vigan Home Hotel. It’s just beside Calle Crisologo an advantage it is! We had our breakfast at Kusina Felicitas near our inn. Their foods are delicious. 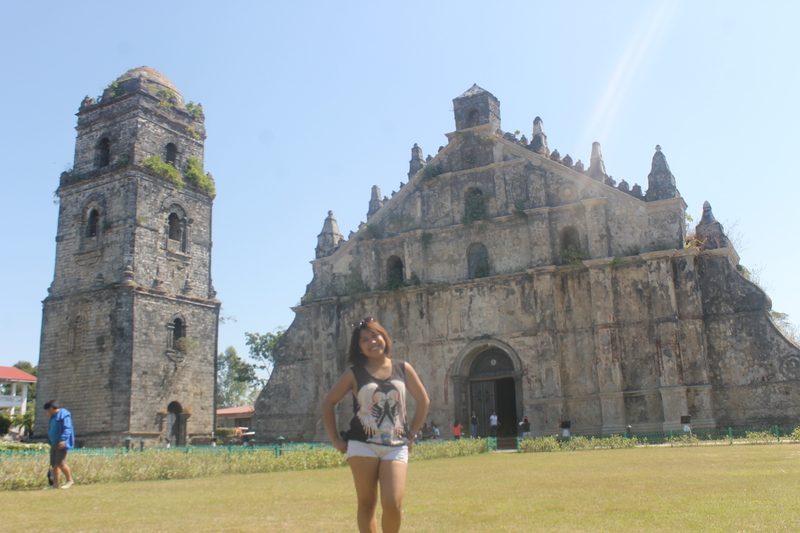 Since you’re in the heritage city of Ilocos, might as well embrace the culture just for a couple of days. Second stop: Fr. Burgos House. I planned to post group photos here but since I don’t have a groupie taken in that place, I’ll proceed to the next stop which is the Pottery Place which I don’t have photos too. But the 2 places mentioned above, you’ll definitely learn something from the tour guide they have in there. 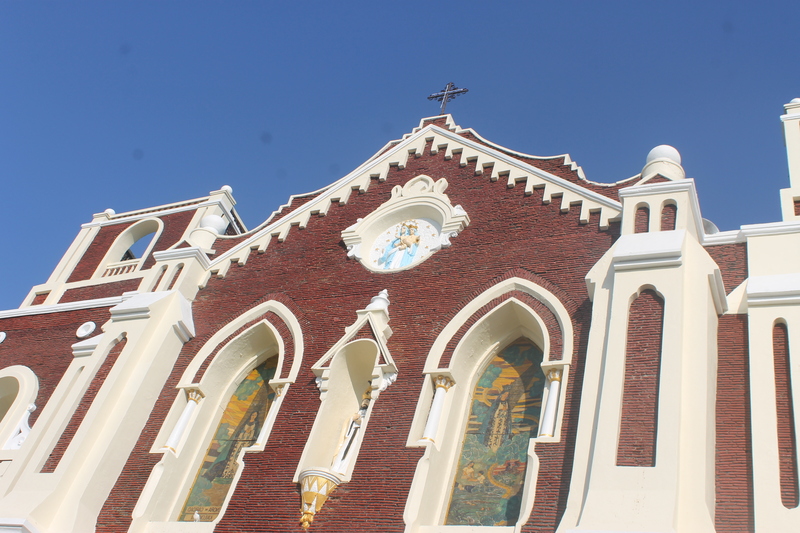 Fourth Stop: St. Paul Metropolitan Cathedral. Pray. Make a wish. Light a candle. Have a little faith. Your wish will come true. 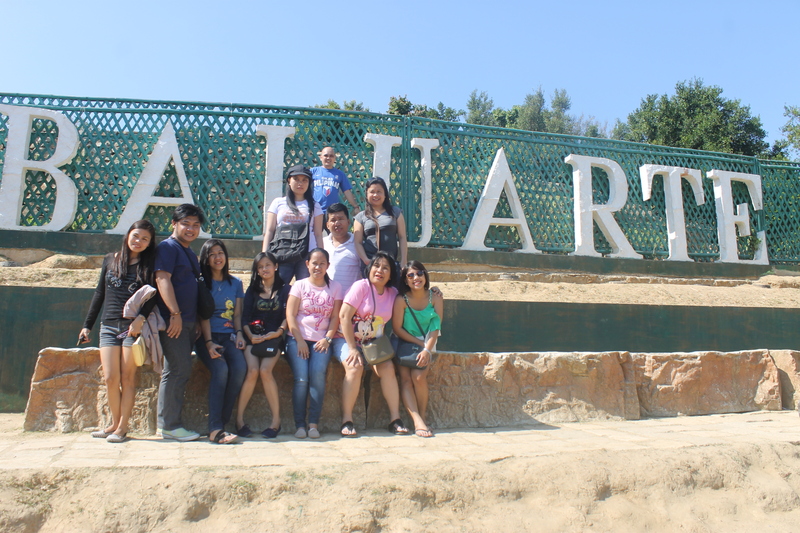 Fifth stop: Baluarte. The one I’ve been waiting for. Tiger Encounter. I’m thrilled! Free ride with a pony. 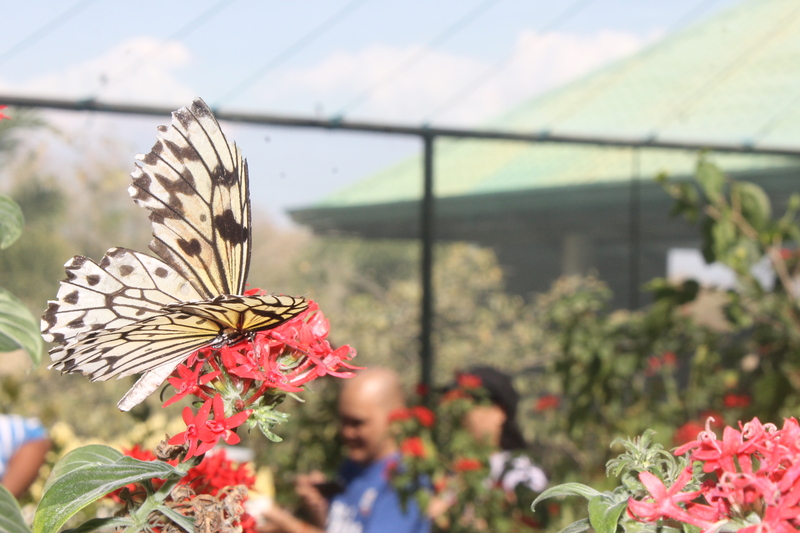 Butterfly haven. Haven’t had an encounter with the tiger. I just looked at it a few feet away because the handler is not in the area. Yes, I got sad. Give me this moment to brag. I took that photo not in Auto but in Manual. Woosah! My eyesight isn’t really that bad after all. 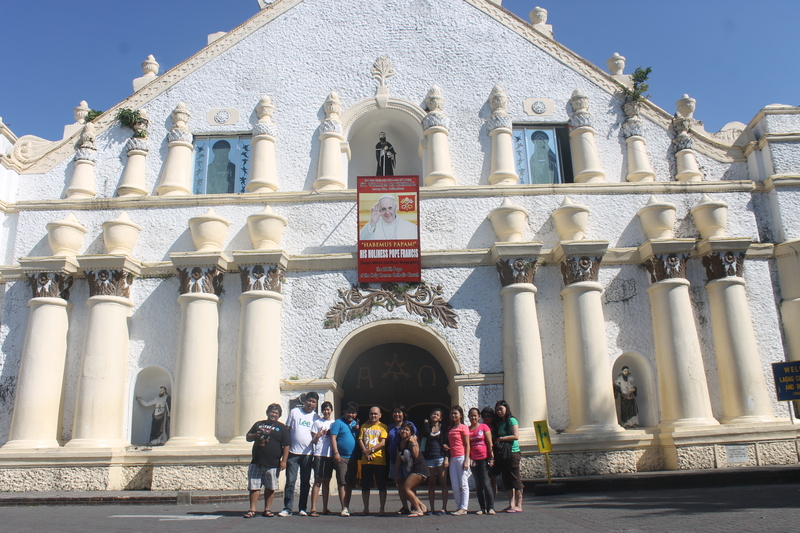 Sixth stop: Shrine of Our Lady of Charity and its bell tower. Wish again. Yes! I did that. In every church I visit the first time, I always make a wish. Second to the last stop for today: Empanadahan. Vigan/Ilocos is famous for their empanada. I am not a fan but I bought myself a piece and when I’m about to take a bite, I saw a leafy kind of thing and that’s it. I gave mine to a friend and have him let eat. 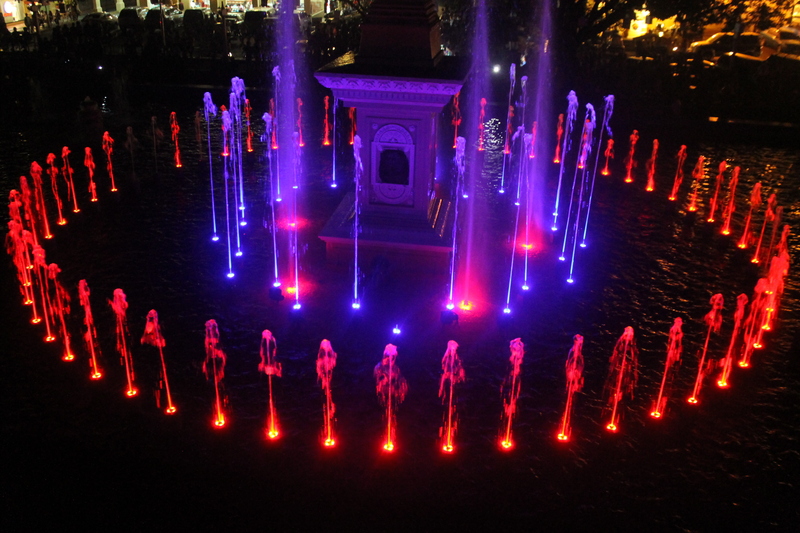 Last stop: Dancing Fountain at the plaza. I’m a kid by heart. Those things fascinate me. I don’t know why but I won’t be explaining why. I just love them. I just do. Another photo taken by me! Yehey! I guess I’m starting to learn the basics again. After an hour of non stop water and lights display in front of me, it’s time to invade Calle Crisologo. I have a lot of photos to share here, but I’ll filter them all so you won’t get bored. The one who made this trip possible. The one who everyone thought is my mom because we look like each other. The one who loves to tease me. 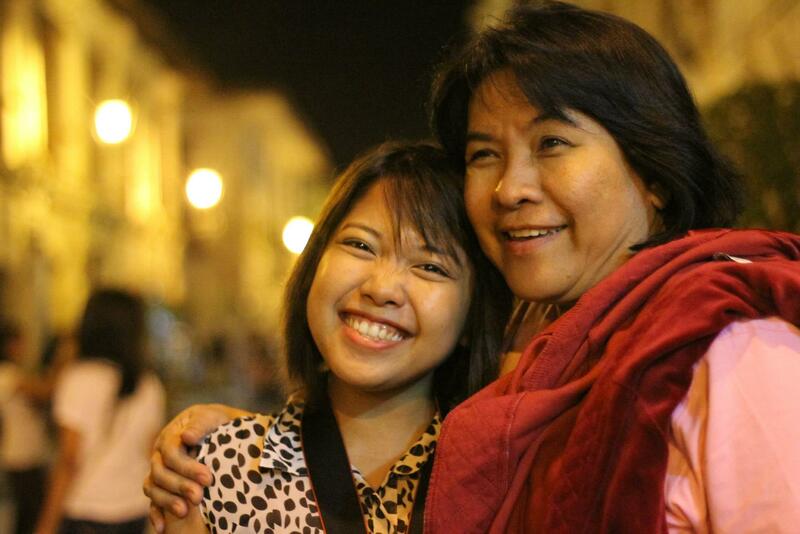 I love you Ma’am BMM! Oh yes! It’s me doing that thumbs up pose again! 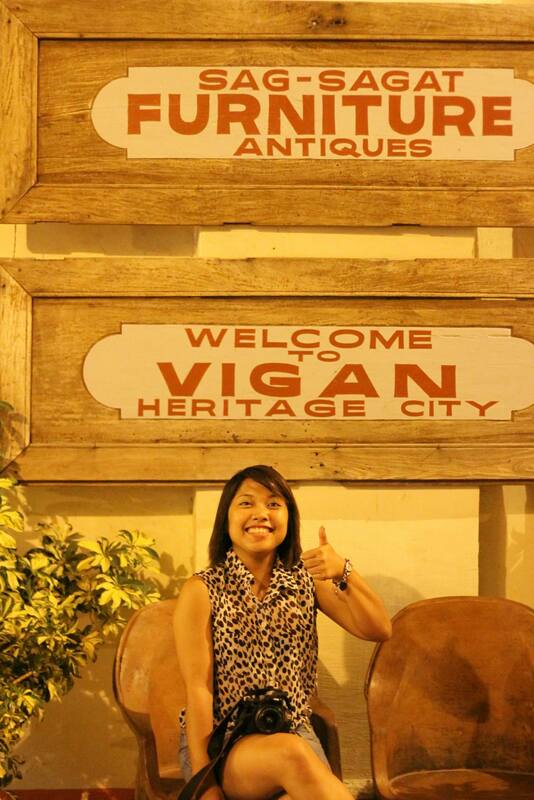 Because Vigan is deinitely a “Must Visit” kind of place. With them gays! I love these two a lot. We party after walking this street at Legacy Superclub. Thank God they let us in even we’re wearing slippers. Advantage of being a tourist – everything is in your favor. 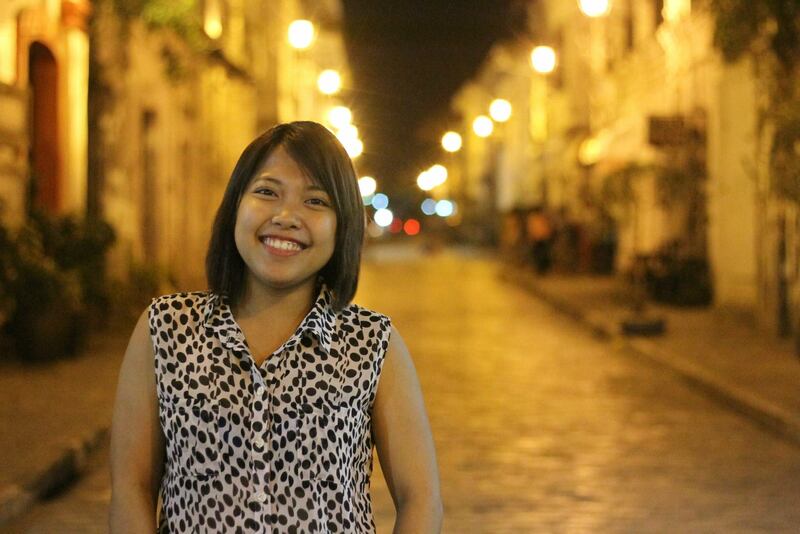 The Intramuros vibe is all over this picture of mine. Makes me want to go back to the “Walled City” and roam around. Day 2 and our last. We ain’t tired yet so we’ll be going to Laoag for another set of tour! 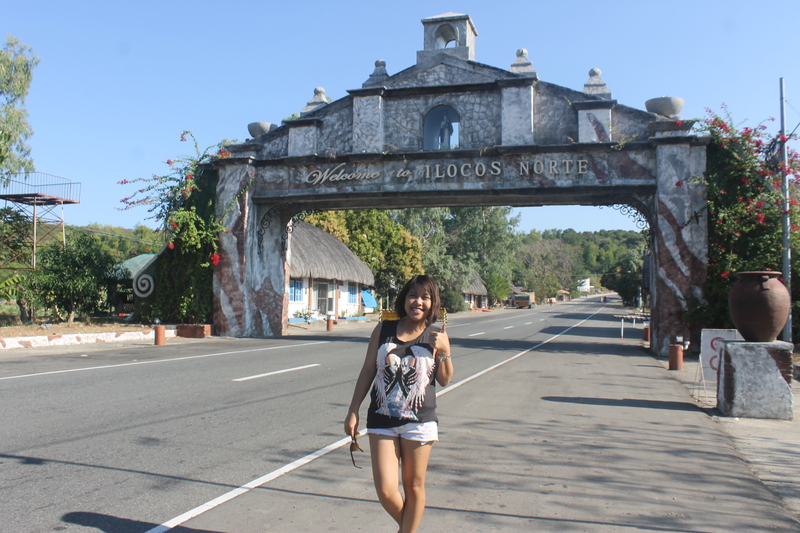 Welcome to Ilocos Norte! It’s obvious I know. But I said it with feeling so it does matter. First stop: Damabana ni Juan Luna. All I have are “selfies” for this tour so bare with me. But I’ll see to it that there’ll be that connection in every picture I’ll be posting. 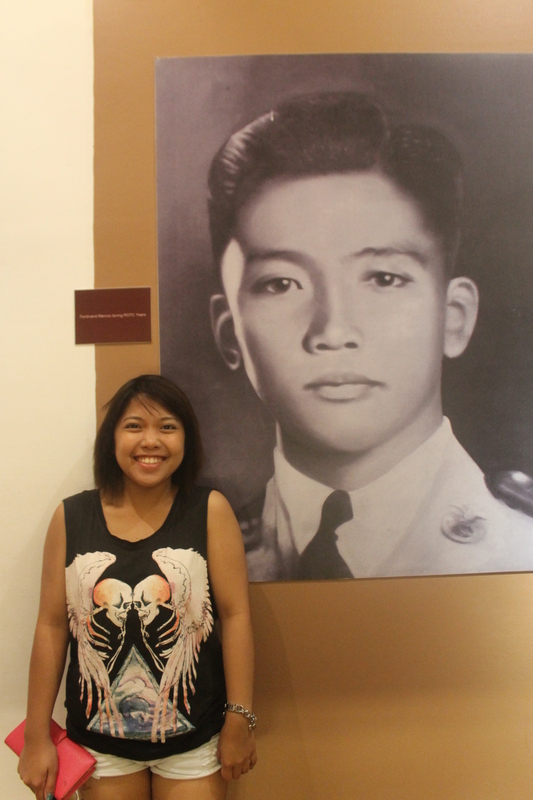 With the man I look up to – Ferdinand Marcos. He’s witty, he’s handsome, he’s perfect – almost perfect! Our second stop is at his museum. I also got a chance to see his body after the tour at the museum. No pictures in there. We were not allowed. 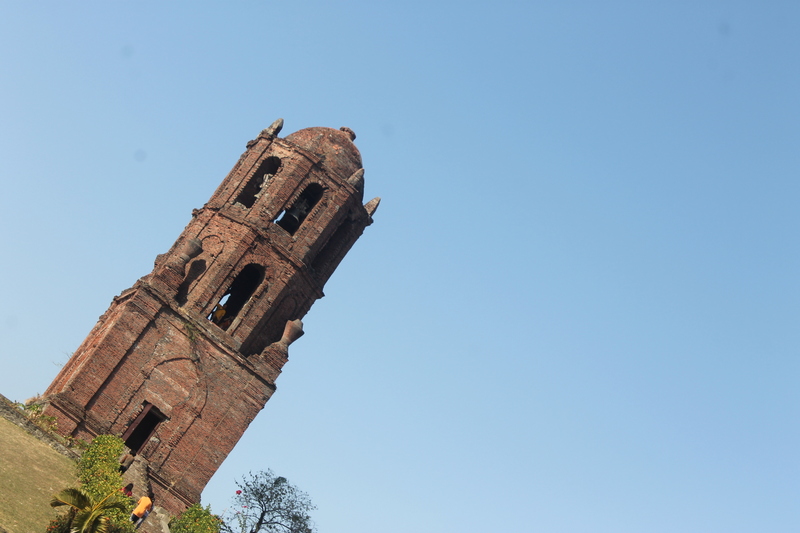 Third stop: Paoay Church. I did the same thing st the previous churches I’ve been. If you’re wondering why the churches there looks the same, I did too. 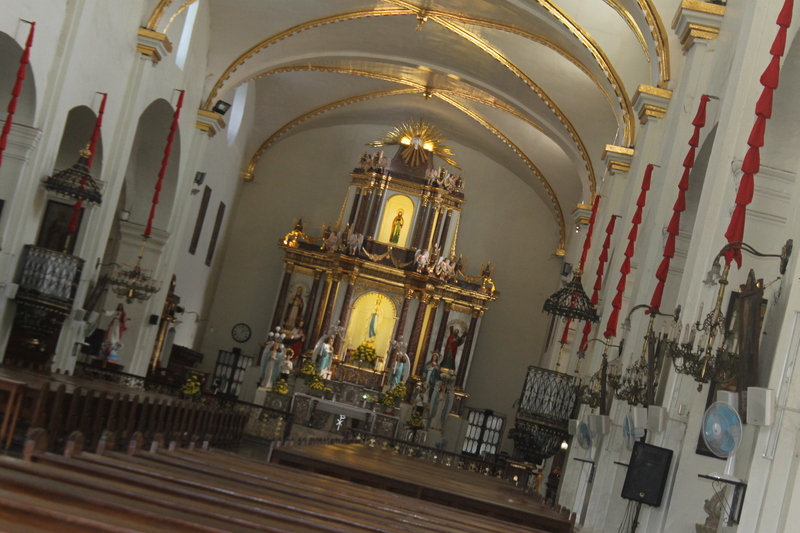 Our tour guide told me that those churches were build by the Agustinians that’s why they have the same structure. Fourth stop and the highlight of the day: Paoay Sand Dunes Adventures. 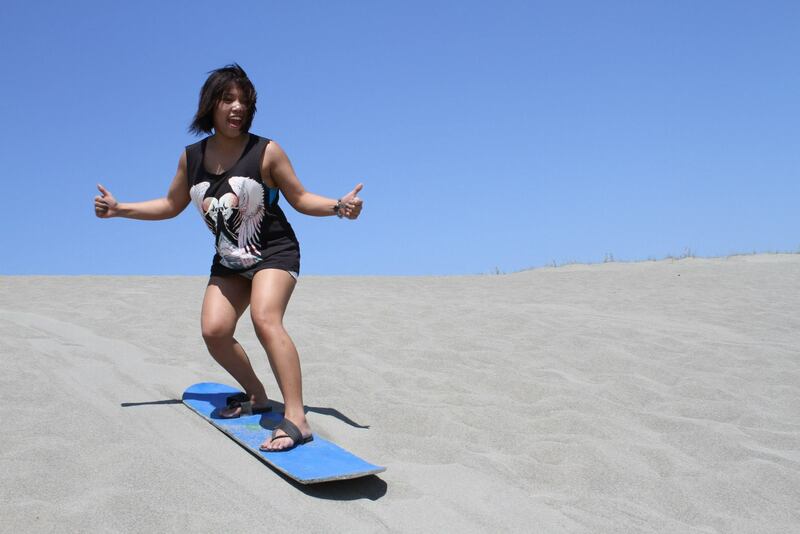 I would definitely regret if I’ll go back home without even trying to sandboard. I’m confident I can do that because 1st, skimboarding is harder and I’ve tried to skimboard already. 2nd, I’m already here. There won’t be a next time. 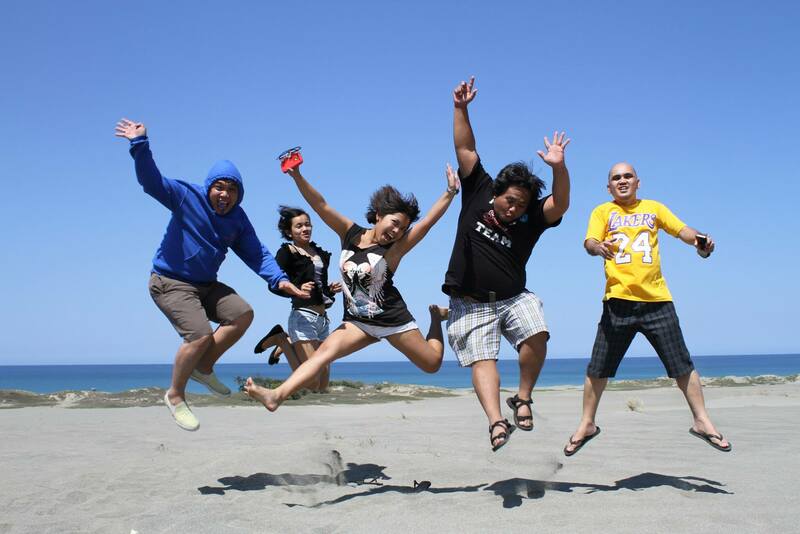 I convinced the rest of the group to avail the package with the sandboarding included. Thank God they want to experience that too so it wasn’t that hard. Rode a 4X4. We tried sandboarding right after we got off the truck. Went to the beach. Rode the truck again. Tip: Don’t do what we did. 1. Don’t try this at 12noon. Most preferable time is at the morning and between 3PM-4PM so the sand won’t be that hot and the sun as well. 2. Bring water with you. I am that hard headed, we didn’t listen to our driver. 3. Don’t wear slippers. You might not be able to walk through the sand. This thing deserves a “selfie” Hail to the adventurous person in the group. 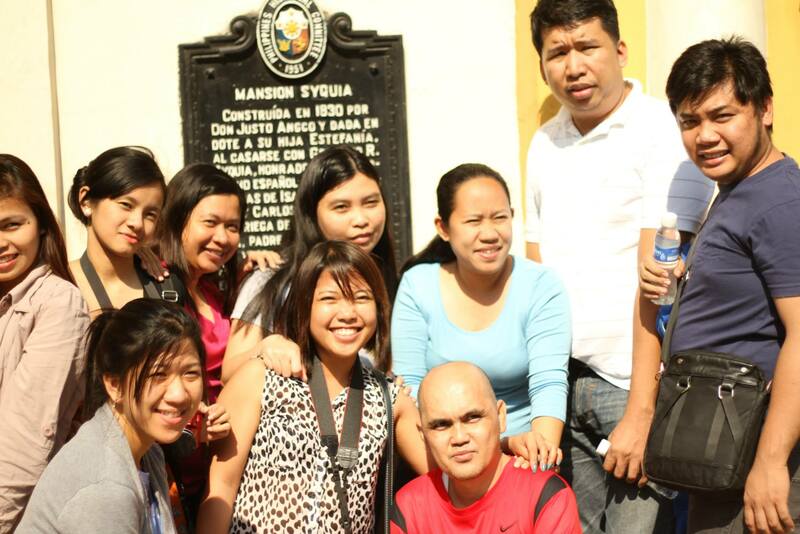 Second to the last stop: Malacanang of the North. Those kind of windows scares me. Malacanang scares me. But the view by the lake is awesome. Last stop before our lunch at La Preciosa and before getting our asses at the bus going back to Manila, Laoag City Church and belltower. What a weekend that was. Up until now, I’m tired but happy and fulfilled. I guess I need a little of decent sleep which I don’t know where to find. I enjoyed this trip to North. It’s my first time to see lots of green even at the expressways which I guess that’s what lacking South or maybe not. I don’t know. Maybe because it’s my first and it’s unusual to my eyes. It’s worth every penny and effort. This is the trip I won’t regret and I won’t even dare to forget. I blog to express, not to impress.